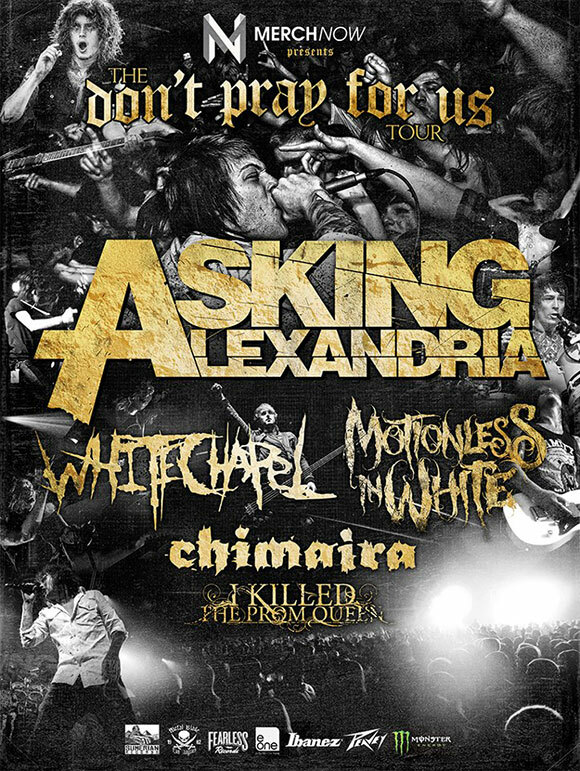 Asking Alexandria will team up with Whitechapel, Motionless In White, Chimaira, and I Killed The Prom Queen this spring for the "Don't Pray For Us Tour." Dates will be announced later this week. UPDATE: The dates/venues for this tour have been announced.